Whew! What a week I have had! Super busy but in a totally good way! But, yesterday when I went to work on my ‘Bites with Bloggers’ post, I couldn’t find the pictures I had taken (seriously how can you lose some photos). I was super excited because I was going to change things up and had planned to feature another blogger’s cookbook. But without the photos of the recipe I made, I don’t want to post a review (that would be soooo boring). So I have to either track down those photos or remake the recipe. Of course, the recipe was so good, I wouldn’t mind remaking it, but I had everything else ready to go yesterday (except for the photos) and was too tired to write another blog post. But, then I remembered I DID have this recipe. 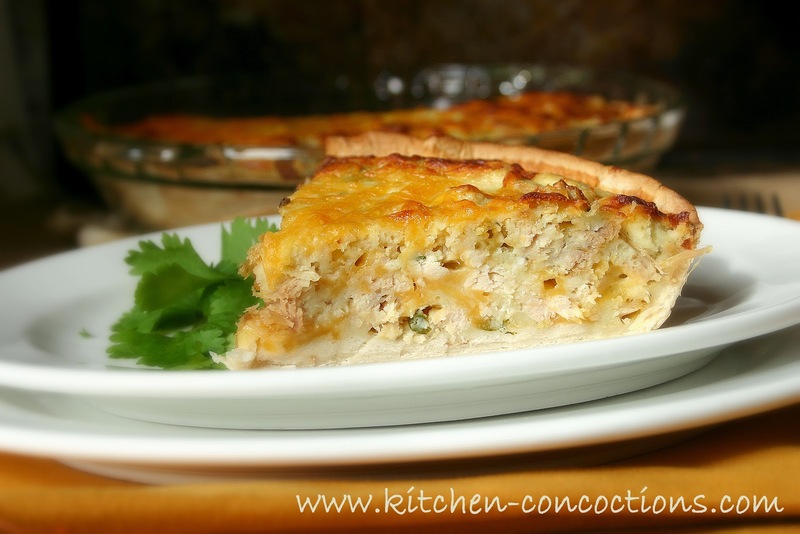 I had seen this exact recipe for Cheesy Chicken Quesadilla Pie on several websites, blogs and recipe resources over the past few months. Every place I saw this recipe had rave reviews but I was a skeptic. I mean, seriously, the ingredient list seemed mediocre at best. Cheese, chicken and tortillas make up traditional quesadillas; but pouring a goopy egg and flour mixture over it all seemed a bit over kill, and quite frankly, I thought would result in a soggy, gross mess. But then I saw, Mel of Mel’s Kitchen Café, post this recipe with rave reviews, curiosity crept in! I have been reading Mel’s blog for years now (since I first discovered food blogs like over four years ago) and trust her taste and recipes (after making a few with amazing results)! So, if Mel made this recipe, blogged about it and then raved about it; well that was all the affirmation I needed! I set off to make this recipe for a quick no fuss dinner using things I had on hand. 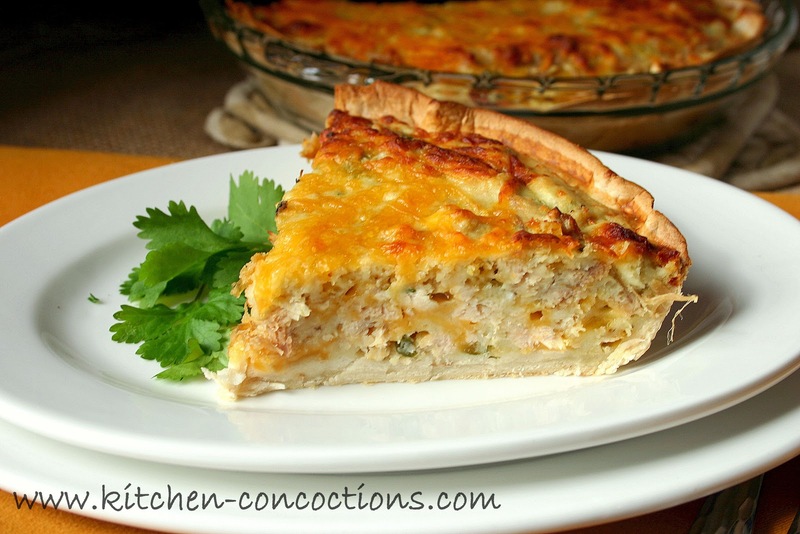 This is a great twist on a kid friendly staple, yet in a family friendly casserole! I chose to add some heat and flavor to this with some salsa verde, but feel free to add some canned green chilies, Tabasco, fresh jalapenos, chili powder, or cumin. Or even feel free to stir in veggies or other fillings of your choice. Oh and yeah, this didn’t taste like a hot mess of wet tortillas. It actually tasted like a regular quesadilla, but more filling! Preheat the oven to 425 degrees F, making sure an oven rack is in the middle position. Grease a 9-inch deep dish pie plate with cooking spray. Overlap and layer the three tortillas, pressing them into the dish, so that the bottom and sides of the pie plate are evenly covered with tortilla. In a medium bowl, toss the shredded chicken with 1 cup of the cheese, cilantro, salt and pepper. Spread the chicken mixture over the tortillas in the pie plate. In the same bowl that the chicken mixture was in, whisk together the eggs, milk, salsa, flour, baking powder; whisk until smooth. Slowly pour liquid mixture into the pie plate covering the chicken evenly. Sprinkle with the remaining cheese. Bake for 20-25 minutes, until the surface is golden brown. Let the casserole rest 5-10 minutes before serving.